'Building materials' as a generic term encompasses steel, aluminum, copper and a range of metal alloys, glass and glaze, particulate materials like sand, gravel, or crushed rock, and natural stone of sedimentary, igneous or metamorphic origin. Each of these materials sees a wide range of applications, from structural/bearing via functional to merely ornamental and decorative. The wide range of 'building materials' application is achieved through an equally wide range of processing, from use 'as is' (e.g., stacking boulders to make a retaining wall), through simple re-dimensioning and fitting (e.g., splitting and sizing of roofing slate) to purification and complex treatment in multi-stage processing (e.g., glass, Portland cement clinker, concreting). The use of building materials, their applications and processing has changed considerably with the development of civilization and technology. Consequently, comprehensive coverage of building materials, applications, processing and history would require multiple volumes. 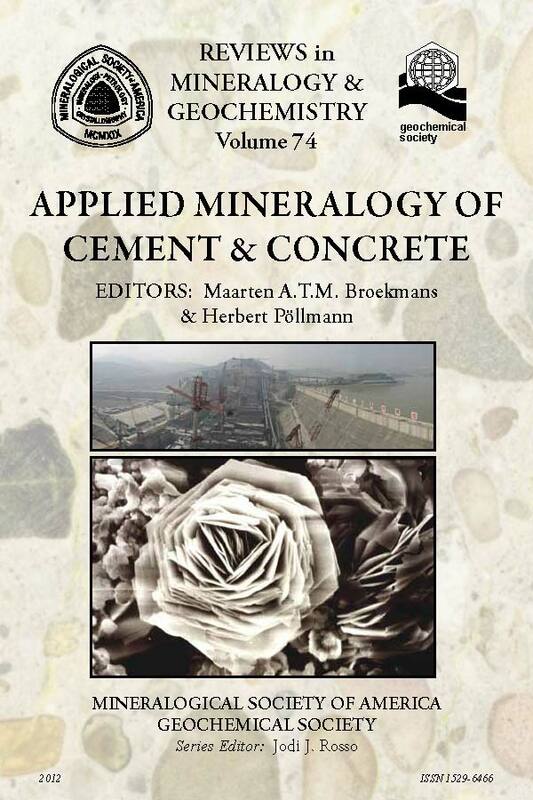 This volume contains a selection of papers on the applied mineralogy of cement and concrete, by far the most popular modern building material by volume, with an annual production exceeding 9 billion cubic meters, and steadily growing. Not even all 'concrete' topics can be covered by a single volume, but an interesting assortment was finally obtained. 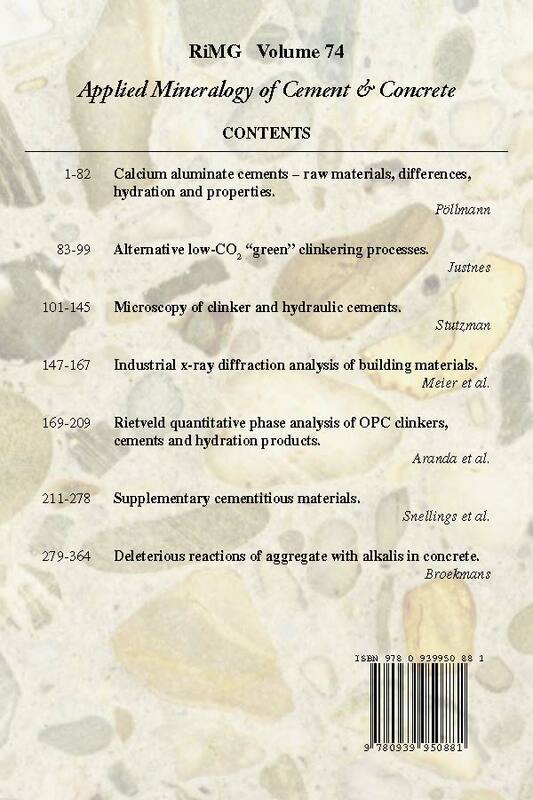 The seven chapters deal with mineralogy and chemistry of (alumina) clinker production and hydration (Pöllmann), alternative raw clinkering materials to reduce CO2 emission (Justnes), assessment of clinker constituents by optical and electron microscopy (Stutzman), industrial assessment of raw materials, cement and concrete using X-ray methods in different applications (Meier et al. ), in situ investigation of clinker and cement hydration based on quantitative crystallographic phase analysis (Aranda et al. ), characterization and properties of supplementary cementitious materials (SCMs) to improve cement and concrete properties (Snellings et al. ), and deleterious alkali-aggregate reaction (AAR) in concrete (Broekmans).